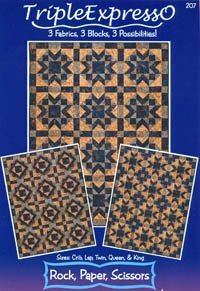 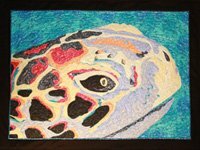 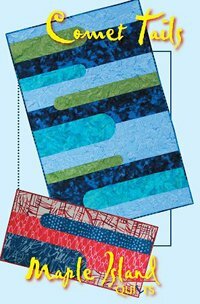 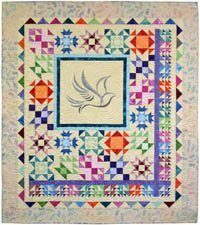 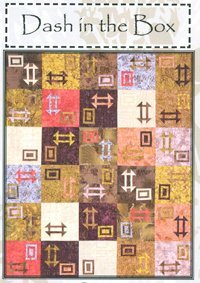 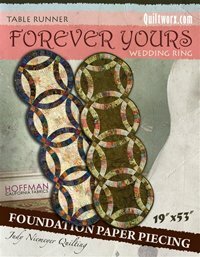 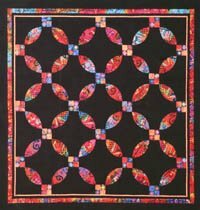 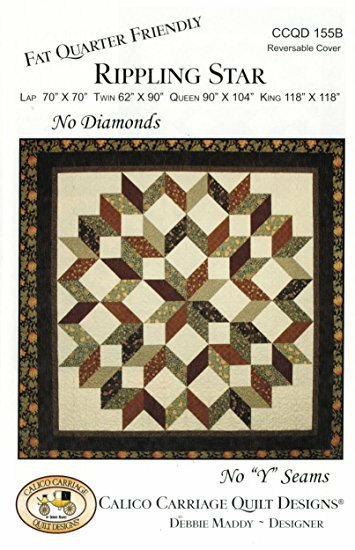 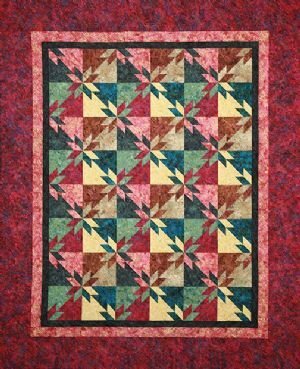 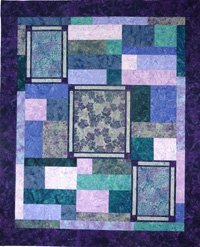 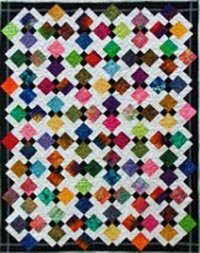 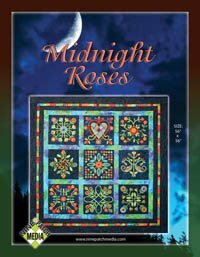 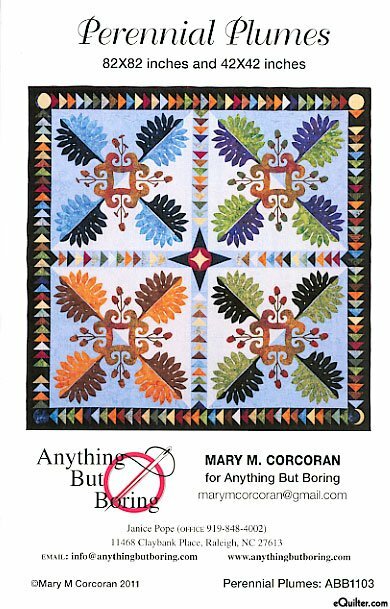 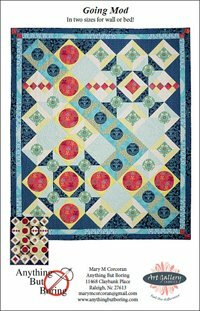 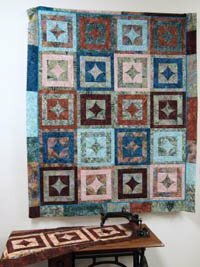 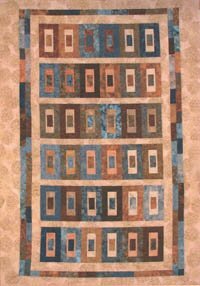 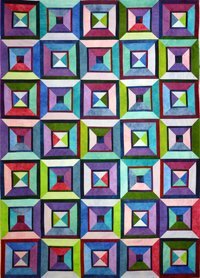 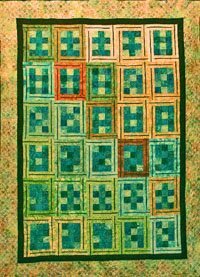 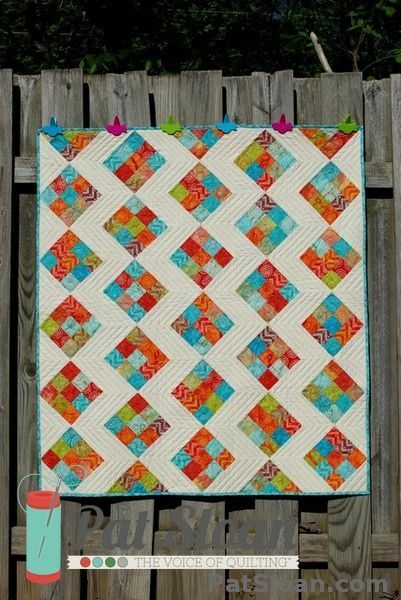 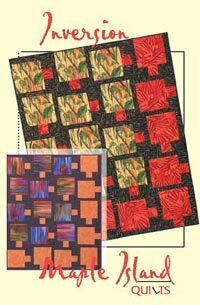 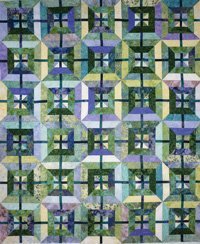 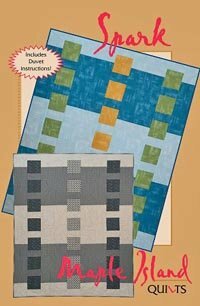 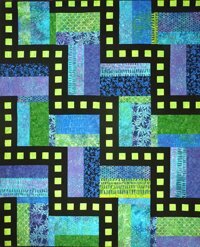 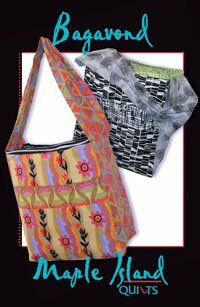 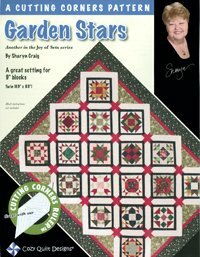 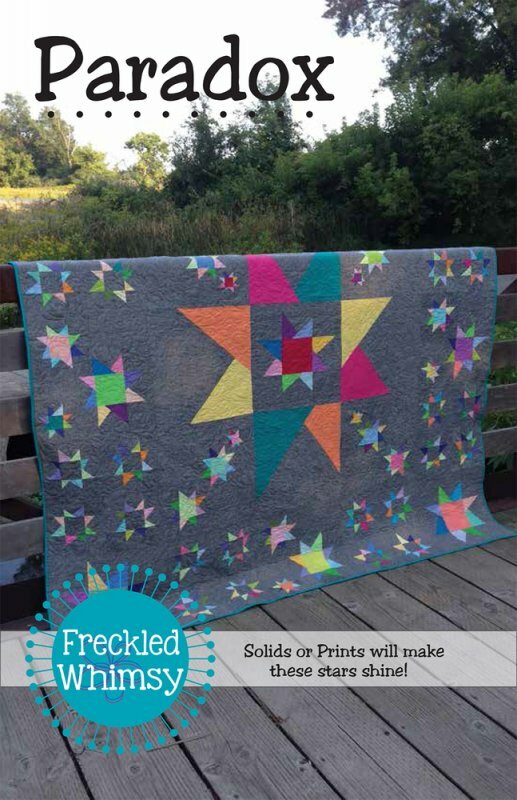 Trip for 2 to Boston quilt by Wing and a Prayer, Pattern makes both quilts at the same time! 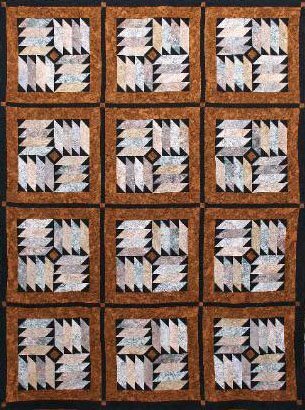 Crib: 44" x 56" Lap: 55" x 74" Twin: 64" x 90" Double: 70" x 98" Queen: 87" x 106"
Sizes: Crib Lap Twin Queen and King. 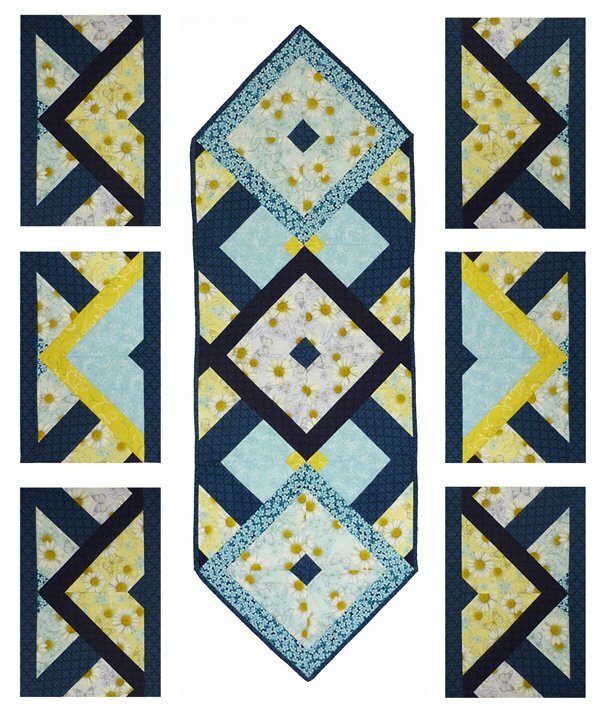 Sizes: Crib Lap Twin Queen & King. 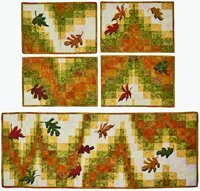 Table Runner: 16 1/2" x 49 1/2" Lap: 52" x 63" Twin: 63" x 85" Queen: 74" x 96"
82" x 82" and 42" x 42"
Accent bold bands of color with a spark of contrast for a fresh modern look. 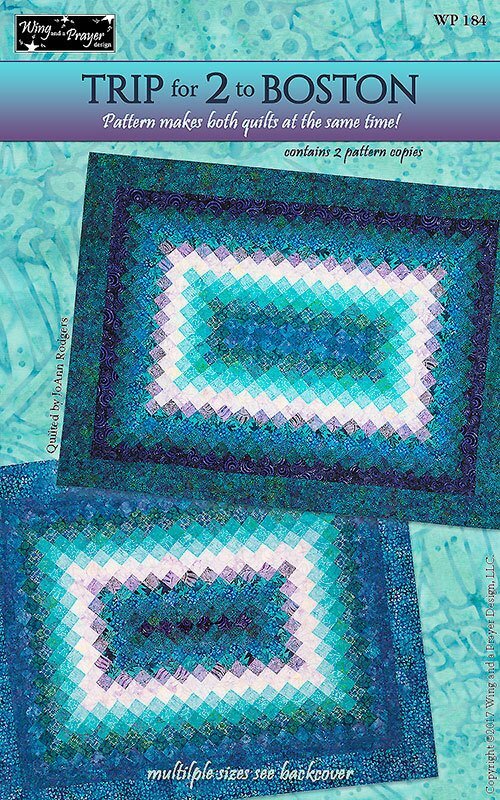 Lap Twin and Queen. 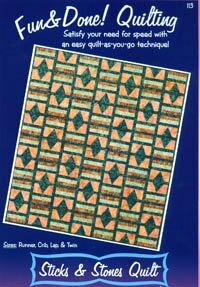 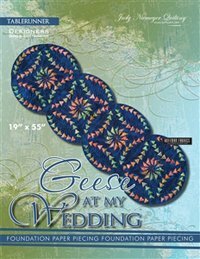 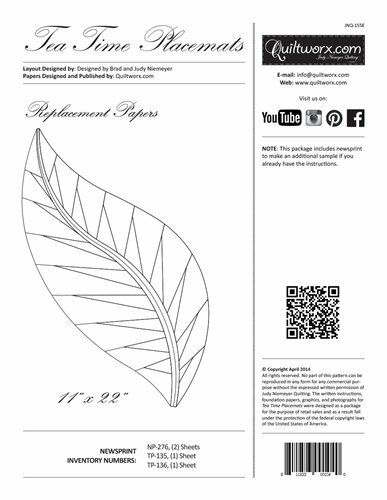 Includes instructions for Duvet Covers: 2 Twin sizes and Queen.